They are Kansas City’s premier dance band & entertainment choice. A home-grown group of the most talented artists to be seen and heard anywhere. And they play it all: rock, pop, jazz, blues, oldies, country, originals and covers. Kansas City is a music town, and this band is not just good, they’re Kansas City Prime! They’re musicians’ musicians, every one of them, and though they’ve played all across the country they’re as down-home and friendly as KC itself – and as world-class. So whatever kind of live music you are looking for, This is the band that can provide it. They’ll make your event one to remember. 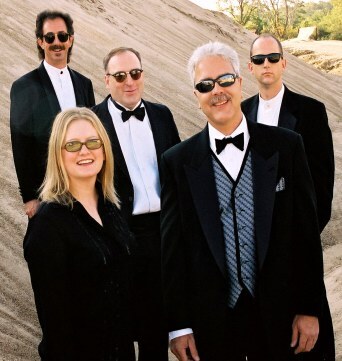 KC Prime is “THE” Variety Dance Band for people who know how to have fun! Your event will be a huge success with KC Prime! Kansas City is a music town, and this band is not just good, they’re Kansas City Prime! They’re musicians’ musicians, every one of them, and though they’ve played all across the country they’re as down-home and friendly as KC itself – and as world-class. So whatever kind of live music you are looking for, KC Prime is the band that can provide it. They’ll make your event one to remember, so remember to call.